According to detectives, a male black entered the mini mart of Lukoil, displayed a silver handgun to the store's clerk, and demanded money. 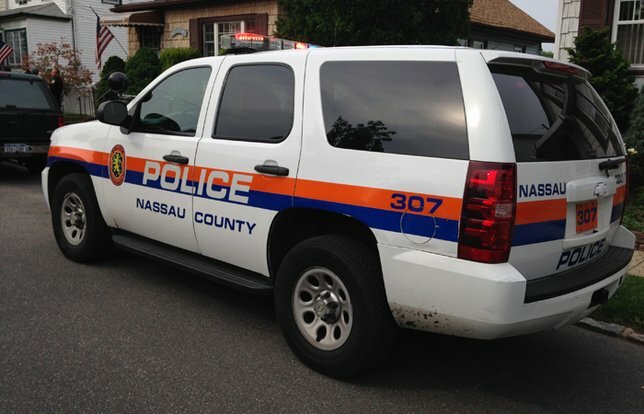 NCPD are investigating a Robbery that occurred on Tuesday, June 27, in North Massapequa. North Massapequa, NY - June 28, 2017 - Seventh Squad detectives are investigating a Robbery that occurred on Tuesday, June 27, 2017 at 10:55 pm in North Massapequa. According to detectives, a male black entered the mini mart of Lukoil, 975 N. Broadway, displayed a silver handgun to the stores clerk and demanded he put money from the register into a blue duffel bag that he placed on the counter. After obtaining an undisclosed amount of cash, the subject fled the store and was last seen heading towards N. Linden Street. The uninjured clerk described the subject as wearing a gray hoodie, jeans and a black ski mask covering his face. It is believed that the subject may have entered a brown Hyundai Elantra that was parked on N. Linden Street and was being operated by a white female, approximately 55 years old with blonde hair. Subject: LongIsland.com - Your Name sent you Article details of "North Massapequa Gas Station Robbed at Gunpoint, Nassau Police Reports"